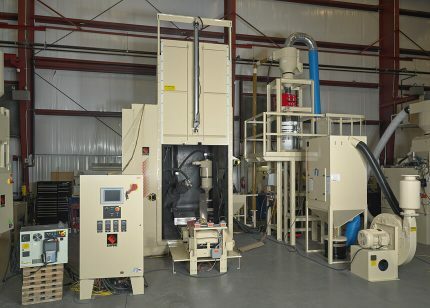 To meet evolving requirements and challenges our growing portfolio of robotic blast system optional features include: servo controlled auxiliary axis, vision systems, off-line programming, coordinated part manipulation, end-effectors for part manipulation, custom part fixturing, unified HMI controls for data collection, RFID/Barcode scanners, Laser Scanners, Ethernet communication, IOT capable remote access routers for data collection and monitoring. Choose from a wide selection of automated systems. 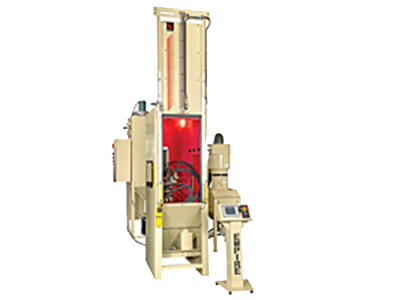 Rodeco has automated systems, ranging in sophistication from standard automation to advanced robotic nozzle, part manipulation and part handling. 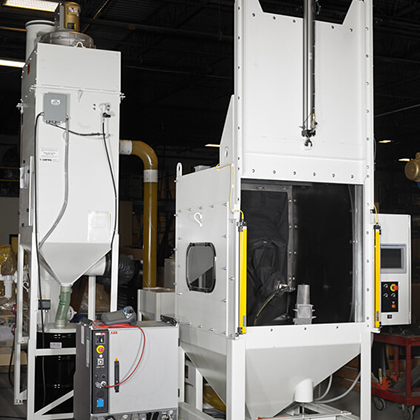 Turntable and in-line machines for continuous processing. 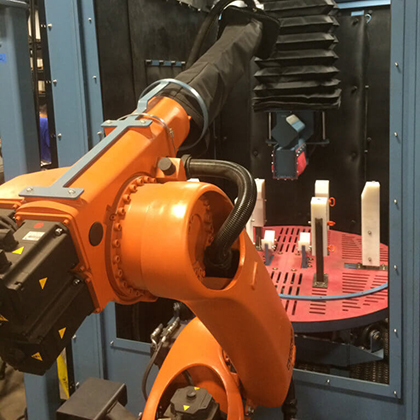 These systems can be loaded and unloaded manually, equipped with robotic arms are designed as an integral part of the production line. Our continuous turntable machines come in four standard models with table diameters ranging from 36 inches up to 108 inches. 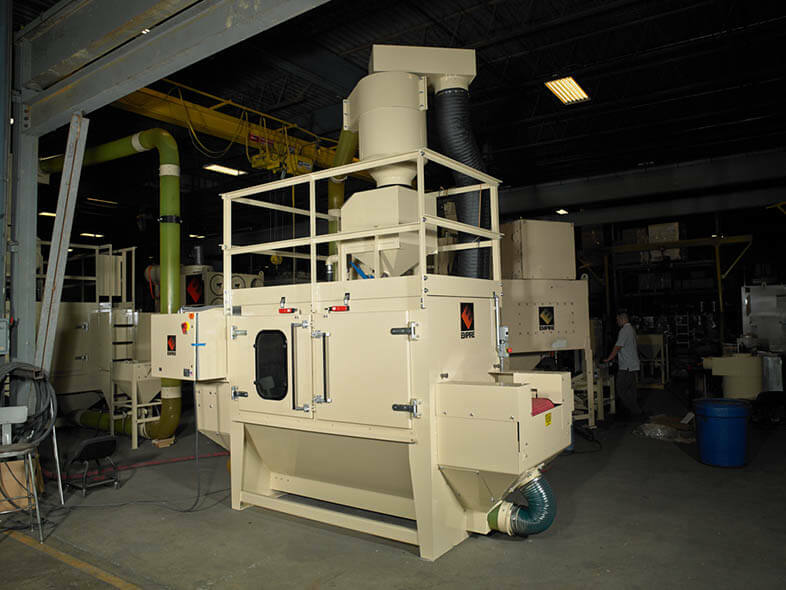 Larger units are available with two rotary blast heads. 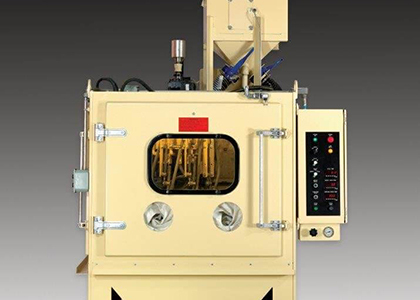 The heads can be oriented to perform separate functions, such as blasting the interior and exterior of parts at the same time. Standard features include a rubber cabinet lining and a urethane coating on the turntable for extended service life. Rotary blast head delivers tremendous coverage while conserving compressed air. When the application calls for it, our rotary head will outperform any horizontal-nozzle oscillator, including our own, by reducing the number of blast guns and energy required for the job. Our rotary heads contribute to the outstanding performance of our in-line conveyor, continuous turntable and batch turntable machines. 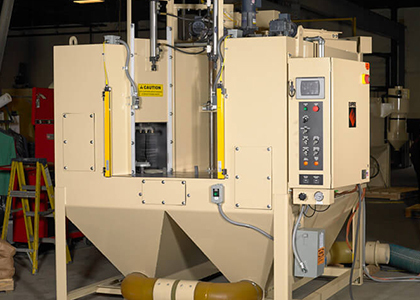 Air-blast peening systems with advanced computer control, blast coverage and material handling features that not only increase productivity, but also assure repeatability—a major concern in these quality intensive applications affecting the structural integrity of critical components. 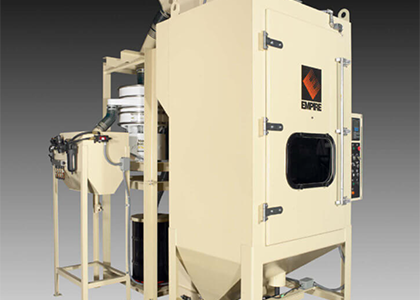 As with other Empire Abrasive automation systems, In-Line blast systems are available in a variety of configurations. Final design being influenced by part size, weight, shape and material handling requirements. These systems can be as simple as a flat belt, split belts, or a roller type while more sophisticated systems are built with horizontal or vertical pinch belts. 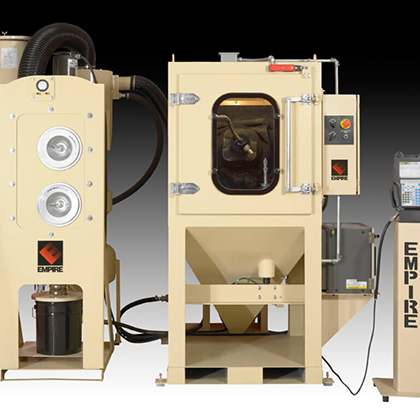 Empire Abrasive Custom Automated systems are available for your specific application. Final configuration/design being influenced by part size, weight, shape, production rates and material handling requirements. 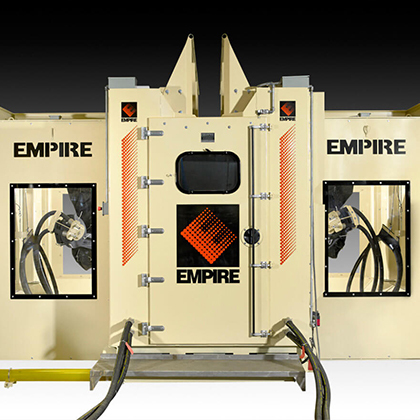 No matter what your application demands, Empire can custom engineer a system to fit your process and production requirements. Let Rodeco help you determine the right equipment to use for the job by utilizing our process development and lab testing services. When your blast equipment goes down, you don’t need to wait! Rodeco troubleshoots your equipment and can ship parts out to you the same day. For customers in the Southeast, we offer a mobile parts delivery service as well. 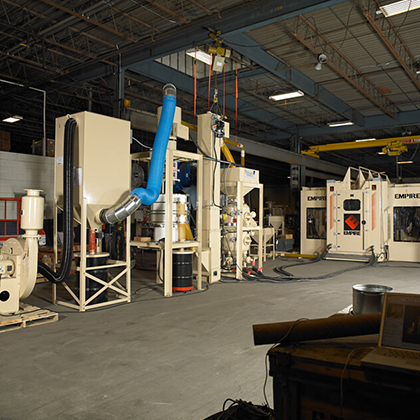 From nozzles and couplings, to hoses and grit valves, Rodeco is your source for parts from major blast manufacturers like Empire, Clemco, Schmidt and more. Equipment financing can be a cost-effective, tax-smart and convenient alternative when you need to acquire or replace equipment. Don't tie up your cash. 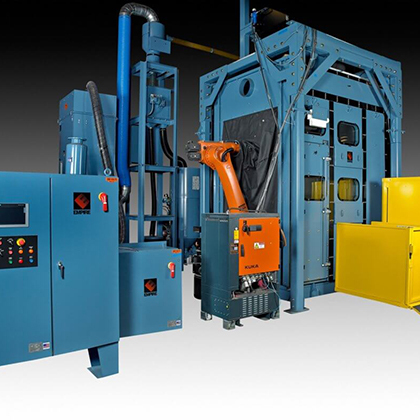 Learn more about the Equipment Leasing programs we offer to fit your needs.